On October 28th, 2017 — exactly 1,000 days before the Tokyo Olympics opening ceremony — Perfume appeared on the NHK TV special Uchimura Gorin Sengen! for a live performance of “TOKYO GIRL.” The NHK2020 website and official Twitter account (#nhk1000days) solicited messages with the prompt, “Who do you want to be in 1,000 days from now?” User-submitted tweets were then heavily incorporated into the performance, the text coming together to create the glowing silhouette of each Perfume member, which in turn morphed into the real girls. 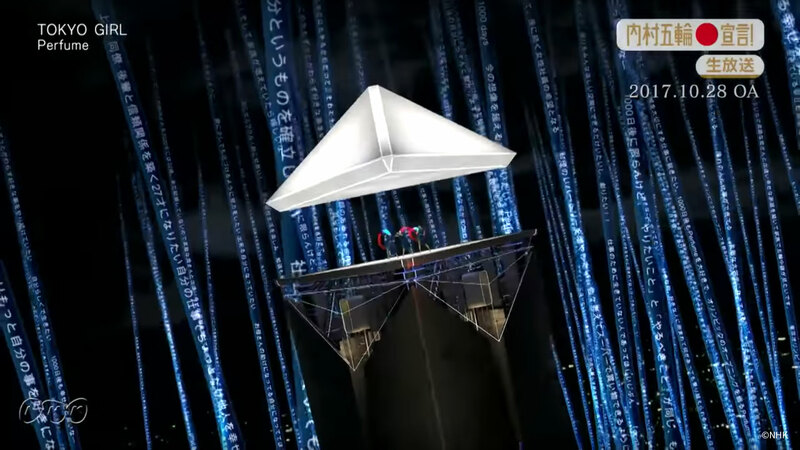 Dynamic VR was used to give the appearance of Perfume dancing while ascending in a futuristic elevator to the top of a skyscraper. 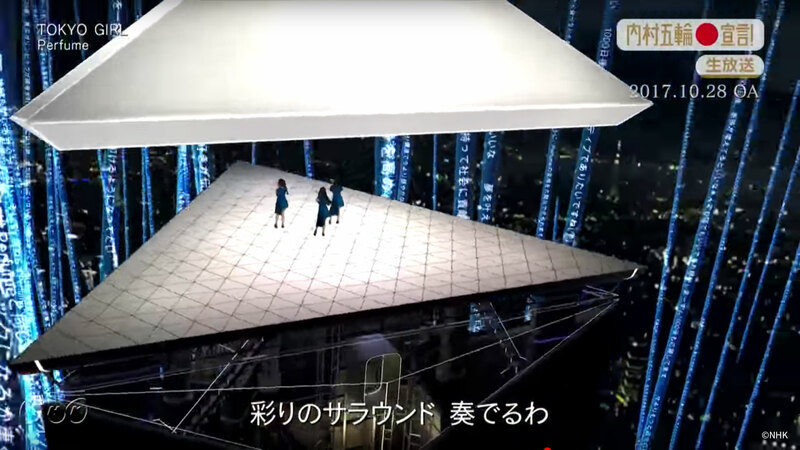 Moreover, user-submitted messages were composited over the trio with AR technology live during the performance.